Where do the days go, the summer is just about to wrap up and it was just Memorial Day. Numerous folks who vacation in Ocean City, Maryland or as we Baltimoreans call it “down the ocean” and have enjoyed dining at Seacrets. And if you have dined at Seacrets, you have enjoyed their Honey Mustard dressing and dipping sauce. Now you can have that taste of “down the ocean” in the convenience of your own home. Seacrets has bottled its must-have honey mustard sauce to bring a taste of an Ocean City summer to Giant grocery stores throughout Delaware, Maryland, D.C., and Virginia. For 25 years, Seacrets Honey Mustard has been a staple at the Eastern Shore hot spot, and now it’s available at more than 150 locations across the region. In stores now, the gluten-free product is made with 100 percent pure clover honey produced from the nectar of clover blossoms, giving the dipping sauce a mild and sweet flavor. 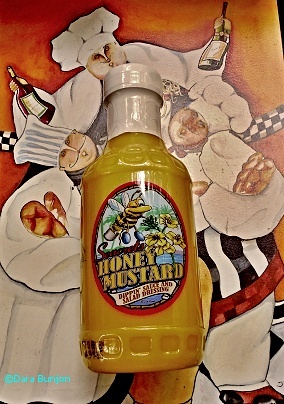 While originally concocted by Seacrets founder Leighton Moore as a topping for the restaurant’s famous Jerk Chicken dishes, Seacrets Honey Mustard goes well with chicken, as a salad topping, with French fries, on soft pretzels and more. The 16 oz. bottle retails for $5.99. For more information about Seacrets Honey Mustard, visit www.seacretshoneymustard.com orfacebook.com/seacrets.